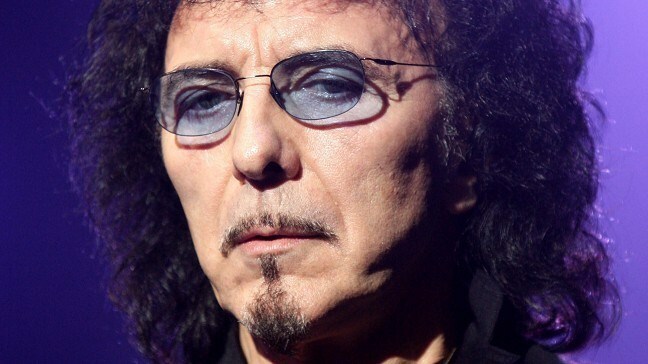 Black Sabbath guitarist Tony Iommi is to undergo treatment for cancer after being diagnosed with lymphoma. His bandmates - with whom he has recently been reunited to record a new album - have asked for fans to send "positive vibes" to the 63-year-old musician. The hard rock pioneers recently reformed with their original line-up to work on their first album together for 33 years. A statement released on behalf of the band said: "Iommi is currently working with his doctors to establish the best treatment plan - the Iron Man of rock & roll remains upbeat and determined to make a full and successful recovery." The group, widely credited with creating heavy metal, insist they will plough on with plans for the new album. Black Sabbath had also lined up a series of major dates during the year. Iommi and colleagues Ozzy Osbourne, bass player Geezer Butler and drummer Bill Ward announced last year that they were together again once more. They had been writing and recording in Los Angeles with producer Rick Rubin on an album due for release in the autumn. The statement said the group would continue to work on the recording: "They will now go to the UK to continue to work with Tony. Further information will be released as it becomes available." Left-handed player Iommi famously lost the tips of two fingers working in a sheet metal factory as a teenager but learned to play with thimble-like devices to extend them. The Birmingham-based band, renowned for their powerful riffs, made their debut as Black Sabbath in 1969. Wild-living Ozzy was axed from the line-up in 1979 and replaced by Ronnie James Dio who died of cancer in 2010. Black Sabbath had been due to play the UK's Download Festival this summer. JLS star Marvin Humes has handed new fiance Rochelle Wiseman the keys to a shiny white Range Rover as an engagement gift. Katherine Jenkins tearfully told fans "it's been tough" as she gave her first concert since splitting with fiance Gethin Jones. Ellie Goulding has apparently split up with her Radio 1 DJ boyfriend Greg James. Dame Shirley Bassey has confessed that she never wanted to be a singer. Steven Tyler has told how he "can't go anywhere" since he joined the American Idol panel. Celebrity friends have taken to Twitter to congratulate Beyonce Knowles and Jay-Z on the birth of their daughter. Flo Rida has knocked Coldplay off the top of the charts with his single Good Feeling. Sir Paul McCartney has put an end to speculation about his new album title confirming it will be called Kisses On The Bottom - but pointed out it is not as cheeky as it sounds.